These are the principle protagonists of our adventure. Note that there may be spoilers included below! It's not updated very often, though, so it's not a given. Iain shares an apartment in the Reeve Residential block with Ruby and Manny. He's basically a nice guy; none too fast but with a respectable facility for information retention and retrieval. Iain had to give up a promising career in college football when his powers manifested. He's displayed no interest in a heroic career but has been known to step into a fracas when the innocent are in jeopardy. Majoring in geology. Powers: When struck with sufficient force, Iain's bruising process is instantaneous and highly resilient - in effect, the struck area is immediately armoured. This happens quickly enough that even the initial impact is cushioned, not unlike the action of an airbag. (It's been theorised that there is some low-level precognition at work to react to blows so rapidly, but tests have proved inconclusive.) In addition, he's been shown to develop armour psychosomatically. With time he may develop conscious control over this. Iain also has some degree of augmented strength and endurance. Manny shares an apartment in Reeve Residential with Iain and Ruby. He's a quick thinker but forgetful when it comes to little things like names or coursework. Nonetheless, everybody loves Manny. Romantically, Manny can be seen stepping out with Karne, the cyborg bouncer from superhero hangout Club Jotunheim, but this has not stopped him coming on to anyone in pawing range. Manny does not actively Hero, but picked the name "Captain Awesome" on the spur of the moment when pressed. Read into that what you will. Powers: Manny says what you want to hear. Or rather, he says what he knows will most likely provoke the desired reaction in you. In an unconscious process, he rapidly skims the subject's mind and analyses their response patterns, drawing a line between what he wants and how you think. There's no active mind control at work so he can't force you to do anything you don't actually want to do - but he's really, really persuasive. Potentially the most powerful telepath on the planet. Ruby shares an apartment in Reeve Residential with Iain and Manny. She has a distinct problem with authority but is trying to work through it. In defiance of school regulations she has taken on a code name and costume (primarily in order to enter a superhero hangout, but it should be noted that she went above and beyond the bare minimum). "Ruby Wilde" is not her birth name. 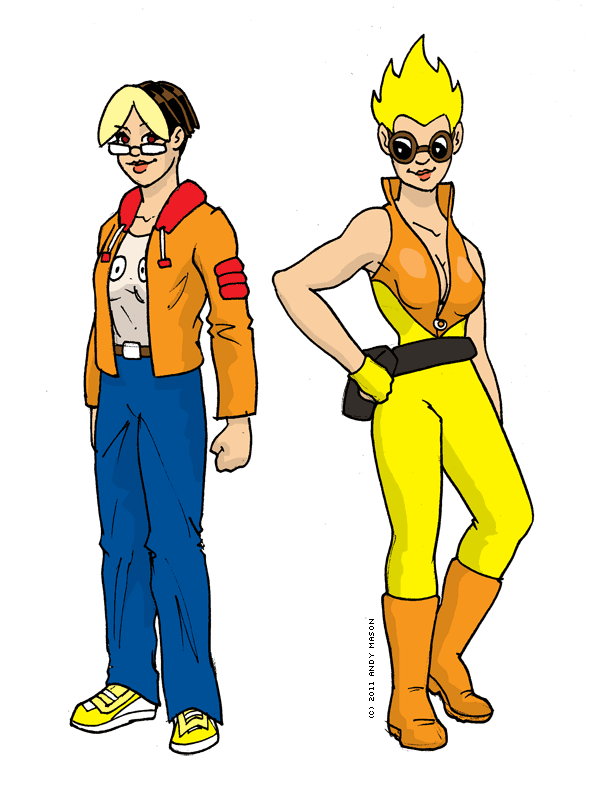 Powers: Ruby has an abnormally strong bioelectric field, which she can harness in a number of ways. Most obvious is the lightning she can expel seemingly at will; less ostentatious manifestations include the mimicking of infrared remote control signals and triggering department store alarms. She recently learned to lift herself off the ground by directing a surge of energy towards the floor - she can't go high or fast, it takes a lot of effort and the damage to the ground is considerable, but it remains an interesting development. A secondary power is the ability to emit a stream of ionized particles. This is primarily used to direct her lightning discharge, but may have other applications. Equipment: In order to help her maintain a secret identity, Coach Harper has provided her with some special hair dye which changes colour when an electrical charge is applied. Ruby is still learning to control this. Karne comes from an idyllic tropical island, whose pre-agrarian hunter-gatherers install cybernetic limbs in one another as a rite of passage. 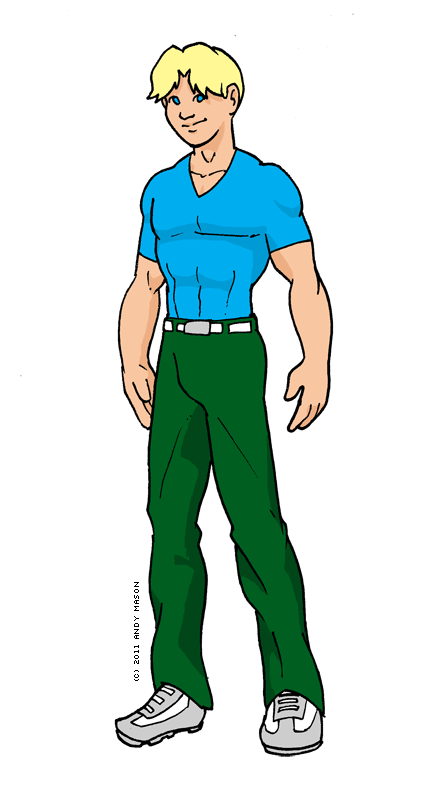 He works as bouncer at Club Jotunheim, and is apparently responsible for making sure all the clientele have unique code names. 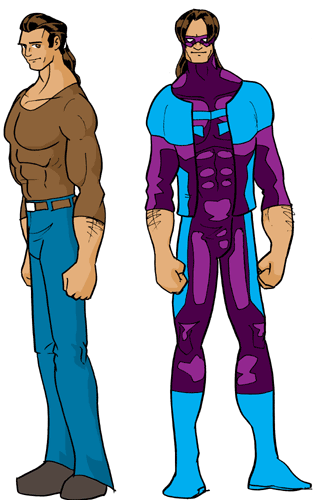 Powers: Karne has multiple cybernetic implants, including most of his right arm. This gives him increased strength as well as the ability to discharge an electrical stun blast on contact, plus an indeterminate number of other capabilities. He is full of useful devices. 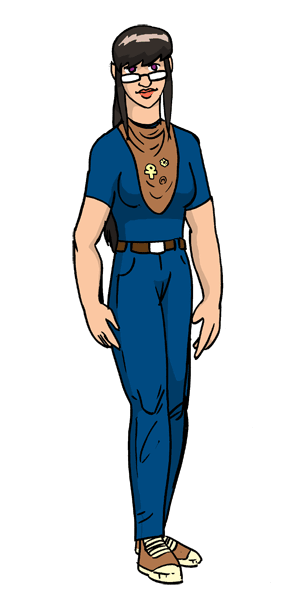 Lori runs the superhero social venue, Club Jotunheim (named for the homeland of the giants of Norse legend). She appears to be an amiable and conversational thirtysomething bartender, though attentive listeners realise she reveals little about herself. The club itself has some interesting features, which Lori attributes to the unique clientele. The sonics are excellent, with the noise from the dance floor not impinging on those ordering at the bar, and the door is apparently somehow movable. 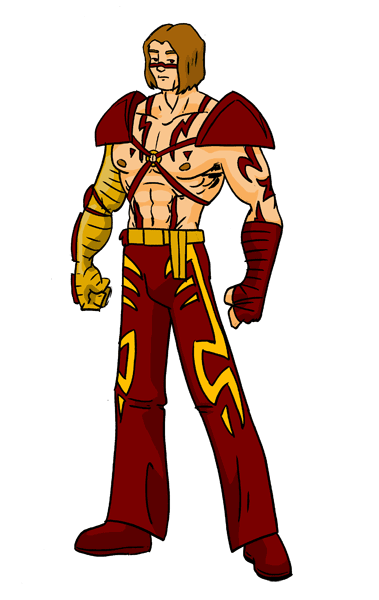 Julian has had his powers since the age of seven, and they are as natural to him as walking is to most baselines. Living with enhanced abilities from such an early age meant that superheroism came just as naturally - he couldn't justify sitting back while people were in danger from situations that were relatively harmless to him, but at the same time he didn't want to give up his privacy. So, his costumed identity was born. Many years on, Julian is now an old hand. When a friend of a friend asked him to coach a bunch of schoolkids in using their own special abilities, well, it seemed like a good idea at the time. Coach Harper does not feel it's his duty to sway his students towards or away from the heroic lifestyle; instead he provides general tuition in how to handle the sorts of challenges life will undoubtedly throw at them. Officially he maintains the school's "No capes, no codenames" policy but has been known to aid those who express an interest in such a lifestyle. Powers: Therm is an energy manipulator. He absorbs almost all forms of energy and expels it as heat - though once it leaves his body he has little control over it, so he doesn't exactly fling energy bolts. Instead, he creates an intense aura of thermal energy around his hands, which releases with explosive force when he punches. He can generate this heat from any part of his body, and by surrounding himself in an envelope of superheated air he can even fly. His major weakness is radiation - not only is his system unable to process it but it quickly floods his system, leaving him with no energy to expel. As a side effect of Therm's ability to absorb energy, he is able to "see" in the dark (by reading the infrared spectrum). BONUS! 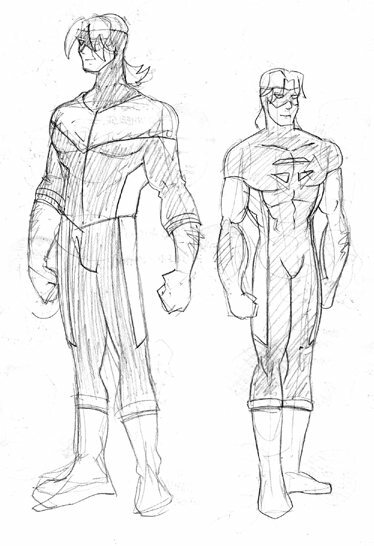 See Therm's initial costume sketch.